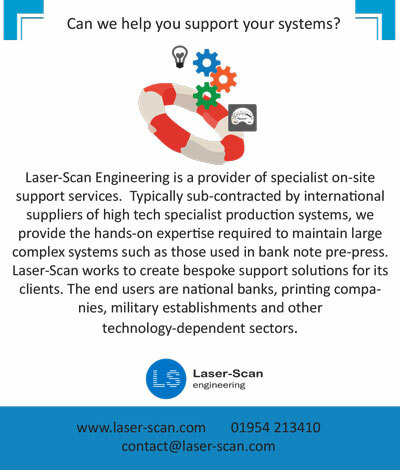 Laser-Scan | Engineering Ltd. Laser-Scan (LSE) is a provider of Global Technical Support Services and Bespoke Integration Solutions. Our approach is flexible and accommodating; our highly trained and experienced engineers will travel all over the world to solve your customer’s on-site problems making it possible for you to have a worldwide customer base who have complete confidence in your products and systems. We pride ourselves in being straightforward and easy to work with and if your systems comprise of components from multiple manufacturers then we can provide a single point of contact to keep things simple. The on-site presence provided by Laser-Scan gives you cost effective but consistent and effective support for your products and systems. Our clients enjoy all the benefits of having a dedicated global support team without having to incur all of the costs, risks and management time involved in running the operation themselves. They are able to simply pay for the services they use. This flexible approach accommodates peaks and troughs in demand caused by technology changes, system life cycles and the general commercial environment. It also enables them to share in the benefits of an established support partner. Services such as online and telephone fault logging, general call handling and logistics can be integrated into their existing customer support structure to a greater or lesser extent depending on their requirements. Laser-Scan | Engineering Ltd. © 2019. All Rights Reserved.